World premiere of the new Real Madrid exhibition kicks off at Melbourne Museum Plaza. 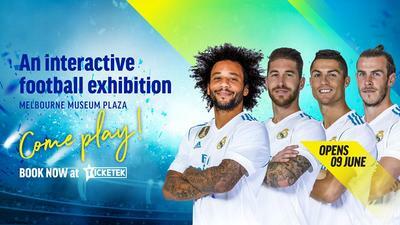 Melbourne is the very first city in the world to host the brand-new exhibition dedicated to Real Madrid Club de Fútbol; Spain's no.1 soccer team and arguably the best football club in the world. 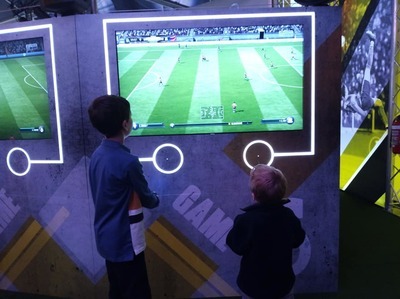 This is an opportunity for football (soccer) fans of all ages to "Come Play" in an interactive touring pavilion inspired by the Santiago Bernabéu stadium. The exhibition is set up in a large 50m x 30m marquee on the grounds of Melbourne Museum's Plaza, right next to the Royal Exhibition Hall in Carlton. 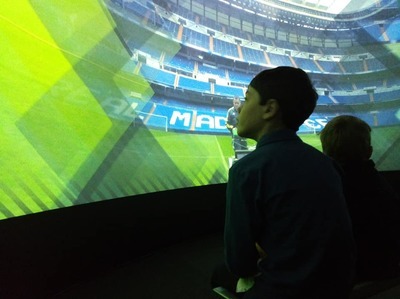 The Real Madrid World of Football Experience features 4 immersive and interactive zones. 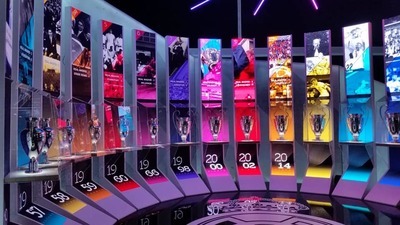 First delve deep into the successful history of Real Madrid C.F, who boast a remarkable 13 UEFA Champions League Cups, the FIFA Club of the Century trophy, and the most treasured Ballon d’Or and Golden Boot trophies. All awards and trophies are on display to admire, right here in the first Zone within the RMWOF Exhibition! Sit down and enjoy a 360° Cinematic Match Day Experience Zone, before trying your hands and feet in the Interactive Zone. Test your reflexes by playing on an extended Foosball table and see how your striking skills compare to the Real Madrid C.F. first team in the Skills Arena. 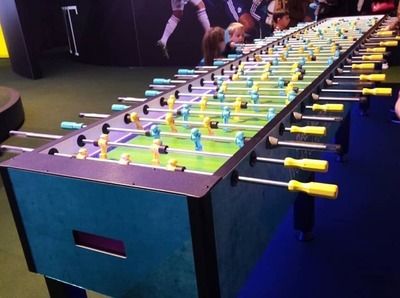 The longest Foosball table in the world? Maybe! Alternatively play a selection of digital soccer matches, if video games are your strength. Before you enter the Real Madrid C.F. Merchandise Zone, have your photo taken with Real Madrid C.F. players through green screen technology in the Merchandise Zone. Real Madrid World of Football Experience at the Melbourne Museum Plaza is a must for any soccer fan. 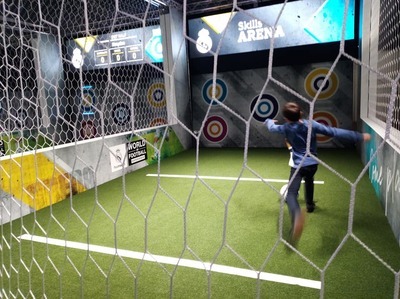 The Real Madrid World of Football Experience is open for a limited time in Melbourne before touring the globe. Book tickets to the RMWOF via ticketek. When: 9 June - 5 August, 2018.